Multiple profiles can be created; however, only 2 profiles are accessible. If applicable, delete a profile. Deleted profiles must be re-added. 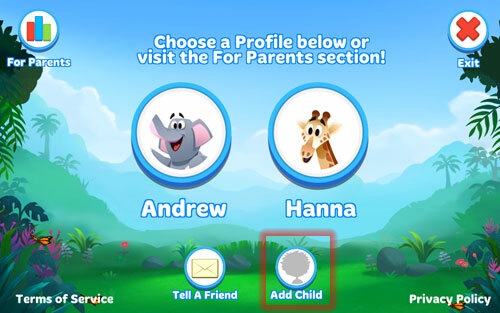 From the Kid Mode home screen, tap Add Child. Enter info into the applicable fields then tap Create Profile. Select an avitar then tap Save. If necessary, swipe left or right to view additional avitars.